The Role of Nurse Practitioners Within HealthcareAccessible Healthcare Institute™ LLC. Rachel Danford. All Rights Reserved. During the 1960’s there was a strong need for primary care services. In 1965, Drs. Henry Silver, a pediatrician, and Loretta Ford, a nurse, collaborated to meet this need by creating a nurse practitioner (NP) program at Colorado University. order, conduct, supervise and interpret diagnostic and laboratory tests. In order to become an NP, one must have received an undergraduate baccalaureate degree in nursing, be licensed as a registered nurse, received advanced graduate education and have earned a Master of Science in Nursing (MSN) specializing as a nurse practitioner. Many NPs have also earned doctoral degrees. Upon completing advanced graduate education, NPs achieve national board certification, state licensure and credentialing. To learn more about the role of nurse practitioners, read the AANP Policy and Position Statements. The video below shares more about the history of the nurse practitioner profession and scope of practice. This year marks the 50th year of the nurse practitioner profession. In the United States, there are now 205,000 nurse practitioners working to provide quality healthcare, improve patient outcomes and decrease healthcare costs. As we celebrate National Nurse Practitioner Week, November 9th – 15th, several nurses joined forces to discuss the role of nurse practitioners within healthcare for The Nurse Blog Carnival. What is a blog carnival? A blog carnival is “traveling” blog. It is one post combining a selection of other blog posts in a particular niche, on a specified topic. 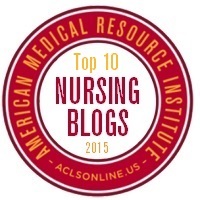 A total of eight nurses of The Nurse Blog Carnival wrote on the topic of the nurse practitioner role within healthcare. 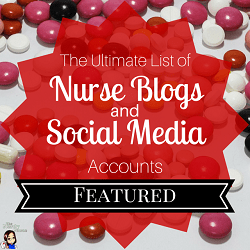 Be sure to check out each of these fabulous nurse bloggers! Dr. Donna Maheady is a pediatric nurse practitioner, with a passion for helping and encouraging nurses with disabilities. In her blog, Exceptional Nurse, Dr. Maheady shares the inspiring story of three nurses who overcame disabilities with severe hearing loss, mental illness and cerebral palsy to become successful nurse practitioners improving the lives of others in their communities. The role of the nurse practitioner with a disability can inspire us to focus on our abilities to improve the lives of others. Deanna Gillingham of Case Management Study Guide wrote an interesting article, Do You Educate Your Clients About NPs? Deanna provides information on the NP’s role in providing quality care, decreased healthcare costs, and research indicating healthcare provided by nurse practitioners is comparable with physician counterparts, at times with higher satisfaction scores. Deanna discusses an interesting case of a patient dissatisfied with his care, and what led him to seek healthcare from a nurse practitioner. Brittany is an acute care nurse practitioner student. She frequently is asked, “what the heck is an acute care nurse practitioner?” In her blog article for #NurseLyfe, Brittany reveals the exciting adrenaline rush in the life of an acute care nurse practitioner. This includes performing invasive procedures such as central line placement, chest tube insertion, intubations and more. The role of the nurse practitioner improves outcomes of patients in need of critical care. Elizabeth Scala notes the increasing role responsibilities of nurse practitioners due to state legislative changes improving access to care for their residents. As states remove NP practice barriers (21 states and D.C. thus far) by instituting full practice authority for NP’s, it provides the opportunity for NPs to practice to the full extent of their knowledge and training. With these state legislative changes, many NPs are branching out into entrepreneurship. Elizabeth shares three tips for aspiring nurse practitioner entrepreneurs at Nursing From Within. As a home health nurse, Kathy Quan understands the important role of nurse practitioners in providing care to the population of patients with home health needs. Unfortunately, although NPs may be the primary care providers for these patients, according to Medicare they aren’t able to sign off on home healthcare plans and authorize Medicare patients for home health benefits. Kathy champions all readers to contact state legislators and ask them to co-sign and support The Home Health Care Planning Improvement Act of 2015 (S578 or HR 1342). She provides links to contact state representatives and senators to encourage them towards improving access to care of those in need of home health services at The Nursing Site Blog. Lastly Lorie Brown, both an attorney and registered nurse of Your Nurse Attorney, shared Five Essential Contract Issues for NPs to consider. Lorie’s article reminds us all to consider how important contract negotiation is for an NP. Developing contract negotiation skills impacts the NPs ability to be a successful member of the healthcare team for his or her community and nation at large. More information on the career path of nurse practitioners is at How Do I Become a Nurse Practitioner? This post was written as part of the Nurse Blog Carnival. Find out how to participate. Wonderful round-up, Dr. Silva! You did a great job. And everyone’s article was filled with great resources. Thank you for including me. And for pulling all of this together. Happy NP to you! Happy NP week! This is a great and informative post about the NP role. It is hard to believe Nurse Practitioners have only been around for 50 years since they are so vital to current healthcare. Happy NP Week. And THANKS for all you do for your patients and the nursing profession. This was a great article and I have enjoyed so much al of the various contributions. I hope we can get many more NPs to enter the worls of home health and hospice! Happy NP week! Great contibutions from all of the bloggers! My name is Linda and I’m a senior in high school . I came across your Instagram page yesterday when I searched the hash tag #aprn. First I wanna say congratulations on all your success! It is very inspiring. I have the passion to one day become a WHNP and I just wanted to asked you some questions pertaining your career path and the field itself. One of the main question I had was, what is the difference between getting a masters to be a nurse practitioner and getting a doctorate in nursing practice to be a nurse practitioner also? How long does it take for each? Is it possible to go straight for the doctorate after having a bachelors in nursing? How did you manage your time between work and still going to school? If you could please answer these questions and give me some advice as someone who one day wants to become a nurse practitioner I would very much appreciate it 😊. Thank you in advance. This is Very Interesting article For Nurses Rules Who Are Practice And Health Care Services that important information give us Thank you!